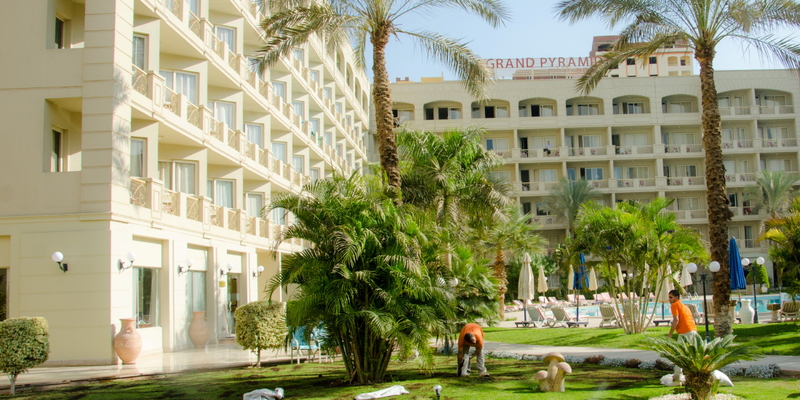 This luxury resort is 2 km from the Pyramids and Great Sphinx of Giza. 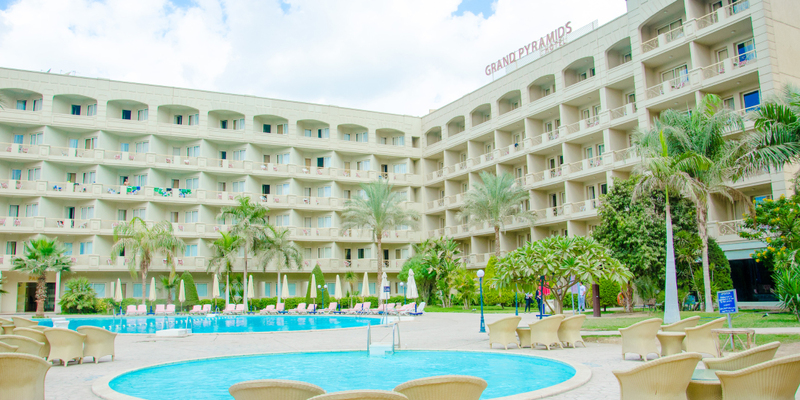 It offers 7 dining outlets, 3 swimming pools and a spa with a range of relaxation options.The air-conditioned rooms at the 4-star Grand Pyramids Hotel feature a balcony with views of the Giza Pyramids or the hotel’s landscaped grounds. Other in-room amenities include satellite TV and a minibar. Casual setting International cuisine restaurant serving open buffet style including pasta station, B.B.Q or a'La carte menu with outdoor terrace. 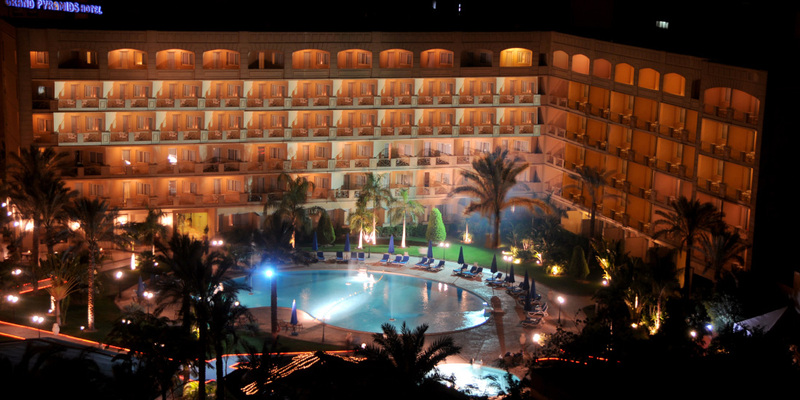 La pergola is an outdoor outlet with selection of international dishes and shisha corner. 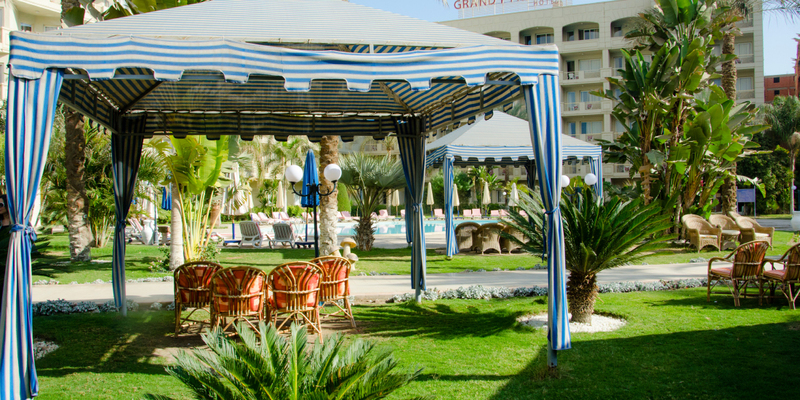 Indoor & outdoor Arabian style tent offering specialized oriental & Egyptian cuisine for lunch & dinner with wide selection of Egyptian specialty beverages & shisha corner.